Congress Passes Emergency Funds for Teachers, But Will They Get Their Jobs Back? Is Gulf Seafood Really Safe? Did Lou Gehrig Have Lou Gehrig's Disease? Will Pakistan's Relief Aid Prevent Destabilization? 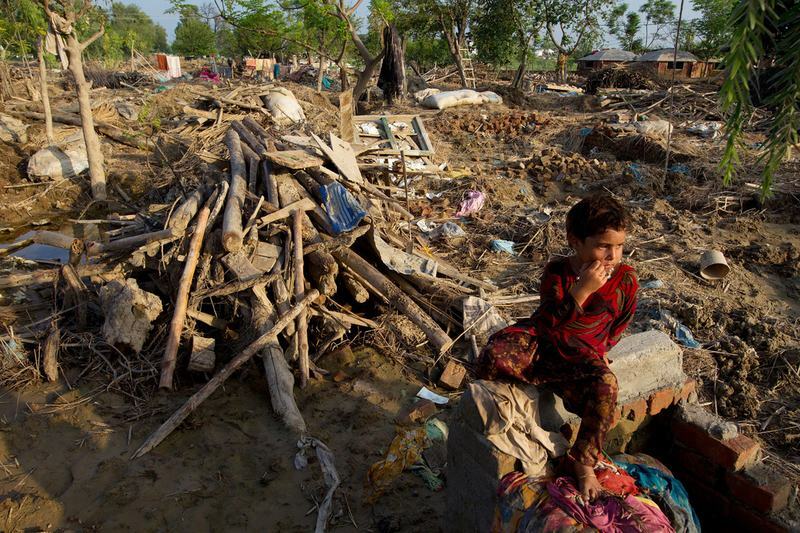 Robina,6, sits amongst the rubble of her destroyed home August 17, 2010 in Charsadda, Pakistan. The country's agricultural heartland has been devastated, with rice, corn and wheat crops destroyed.